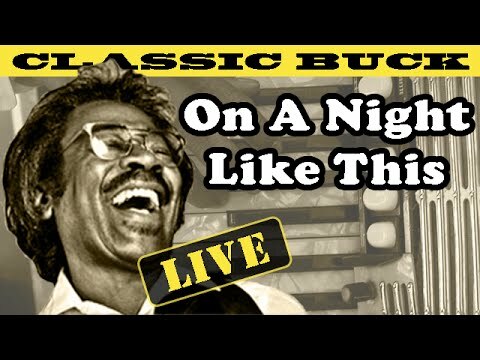 Rock The Body Electric: Re-Post: Dylan Cover #73 Buckwheat Zydeco "On A Night Like This"
Re-Post: Dylan Cover #73 Buckwheat Zydeco "On A Night Like This"
This is a Re-post from 2/4/13 when we focused on Buckwheat Zydeco's cover of "On A Night Like This". When we were grading these covers we gave this one an A+ and it remains one of our favorite in the almost 250 that we have showcased on Mondays over the last few years. With his passing this weekend, we want to give him one more turn in our very minimal spotlight. Thanks for everything Buckwheat. There are songs that put you in certain places, certain times, recall certain memories. That is what can be so enchanting about tunes, for some reason every time "On A Night Like This" kicks off the criminally underrated Planet Waves, I think of a winter time scene. Either outdoors or by the raging fire, whatever, this album just screams northern winters to my ears, snow filled sidewalks, crisp night air, it's all there in listening to this track. The album was recorded in November but who knows when the songs were from, all I know is that they are great, and this is one of the best on the disk.